Do you need a license to buy scrap metal? When can you sell scrap metal legally? Find out the rules for selling scrap. Selling scrap metal can earn you good money, so it’s no surprise that people are very eager to cash in. It’s probably even less surprising that some are willing to bend the law in order to pocket large amounts of cash. We’ve seen a few news reports from across the UK recently about people receiving hefty fines for breaking the laws around scrap metal dealing. With that in mind, here’s our advice to anyone wanting to sell on some scrap metal, so you can be sure that everything’s above board, and you won’t get into any trouble. It’s perfectly fine to sell scrap metal from your own home, or from your car. But if you’re going to collect scrap metal from others, you need a license. There are two kinds – a site collector’s license, and a mobile collector’s license. Without these licenses, it’s illegal to collect scrap metal from others – and that includes going round your neighbours to see if they have anything you can take away to sell on. And, of course, it should be fairly obvious that taking scrap metal from bins, skips and abandoned sites – or any kind of metal theft, essentially – is prohibited for other reasons too. Not everyone who roves around to collect scrap is up to no good, of course – as mentioned above, it is possible to have a mobile collector’s license. However, if someone does come knocking asking if they can buy the scrap metal from the skip outside your house, make sure you ask to see that license. Not only are you following the law, you’ll also likely get a better price from a registered dealer, and you can rest assured that your scrap is being disposed of properly. Even license-holders can’t offer cash for scrap metal. As part of the Scrap Metal Dealers Act 2013, it’s illegal to pay cash for scrap. So, if you’re taking your scrap to a dealer who offers to pay you in cash, you should run a mile. While you can accept a cheque, electronic payments are now the norm, depositing the money directly into your bank. Very handy. The best way to ensure you’re selling your scrap in an above-board and responsible fashion, and for the best price, is to find a reputable, licensed scrap yard in your area. With some merchants, you may have to take it down to the scrap metal drive-in yourself, while others will offer a scrap metal collection service. Just make sure they have the correct licenses for both services first! At Singletons, for example, we have all the relevant credentials. 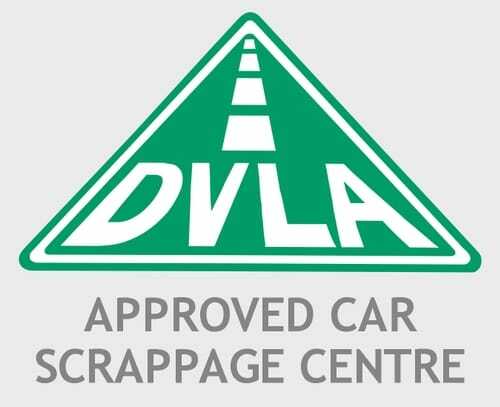 We’re ISO 9001:2015 accredited, a licensed waste transfer station, an authorised treatment facility for scrap cars, and a member of the British Metals Recycling Association, among others, so you can be sure we’re reliable! If you’d like to find out more about selling scrap with us, then get in touch with any scrap metal enquiries.